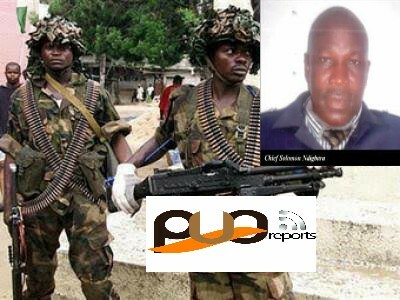 The Two brigade Nigeria Army command in Bori Camp Porharcourt has accused Mr Solomon Ndigbara whose home was raided by the Military last Sunday in Yeghe Community, Gokana Local Government Area of Gun Running. He said Mr Solomon Ndigbara is a known suspect and that the Military is doing its best to Clamp Down on his activities in the Area. Meanwhile the Chairman Caretaker Commitee of Khana Local Government Area Hon Gbara Sydney has condemned the statement credited to the Nigerian Army about the person of Amb Solomon Ndigbara.